Linamar Corp.’s Skyjack division locked in a contract with MacFarlands Industrial for their new Moncton, New Brunswick, location. MacFarlands has been renting throughout Atlantic Canada for over 50 years and is excited to stock their fleet with Canadian made aerial equipment. 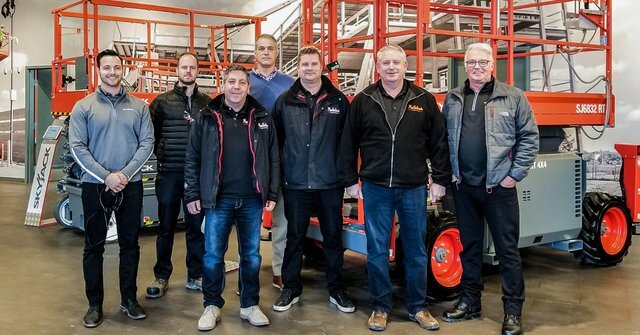 The rental company has signed an exclusive partnership with Skyjack to have the Canadian manufacturer be the sole supplier of all DC electric scissor lifts. The first order of these consisted of SJIII 3219, SJIII 3226, SJIII 4632, and SJIII 4740 electric scissor lifts. Each of these models use SKYCODED, Skyjack’s proven and reliable color coded and numbered wiring system. This system makes Skyjack machines some of the easiest pieces of equipment to maintain, which translates into increased uptime. For more info on Skyjack, click this link. It’s super clickable.